Join us Thursday as we go see Wonder Woman, then come to our family-friendly musical Shabbat service on Friday, followed by a pizza potluck. We’ll also be turning our Sun Wheel Friday in honor of the summer solstice and celebrating our community members who have birthdays and anniversaries in June through September. Friday​, June 23, 6:30 p.m. 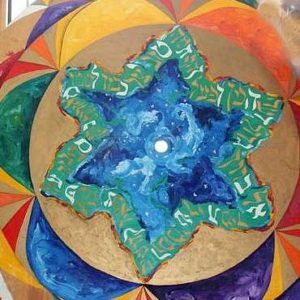 This week is a family-friendly musical Shabbat service with a story beginning at 6:30, followed by pizza potluck at 7:15, RSVP to pizza@temv.org requested so we know how much to order. Rabbi Sparr will be holding office hours Friday afternoon this week. If you have an urgent need, please don’t hesitate to ring her anytime. She may also be reached by e-mail. Join us for two fun movie experiences, both at the Lowell Showcase Cinema! On Thursday, June 22nd, at 7:05 p.m., we’ll be seeing Wonder Woman. Go online to buy tickets in advance or get them the day of the show. There is a senior discount for those 60 years old and older. We will meet at 6:30 p.m. in the lobby and all go in together. We thought it would be special to see this show together since the star, Gal Gadot, is Israeli! Children are welcome as long as they are accompanied by an adult. The second movie is Carole King – Captured Live. There is only one showing, on Tuesday, July 11th at 7:00 p.m. You are encouraged to buy advance tickets. Tickets are $16.00 each and Robin Frisch has an extra ticket if anyone needs one. We will meet in the lobby at 6:30 pm. Let Robin Frisch know if you are planning to attend either show: robin.frisch@gmail.com or 630-915-5335. Please come and join in the fun! Sunday, June 25, 5:35 p.m.—Note that this is a time change. Have you already purchased tickets? If so, please contact Phebe to let her know your seat numbers. Thank you! Join TEMV friends and family for a baseball game at LaLecheur Park for a Lowell Spinners baseball game. Contact Phebe for tickets. Prior to the game, all kids are welcome to play catch on the field from 4:30-5:00! Sunday, June 25, 10 a.m. Please join us if you would like to help with our annual yard sale in August! Start collecting your yard sale donations. Bring them in starting July 1 (after the last Shabbat service for the year), and leave them in the back of the sanctuary. Sunday, July 9, from 4 to 9 p.m.
Mark your calendars for dinner at Papa’s Gino’s in Chelmsford! TEMV will get 20% of sales from those with this flyer on Sunday, July 9, from 4 to 9 p.m. — print it or show it on your phone to the server. Share with your friends and family! Please contact Karen if interested. Gentle yoga: Monday, 8:30 a.m.; RSVP required by Sunday at 12 noon. On holidays this class meets at 9 am. It’s hard to believe, but Cornelia has been teaching TEMV Yoga for nine years and has requested a well-deserved rate increase. The cost will now be $10 for the teacher and a $3 donation for the temple. Tuesdays, 6 p.m. and Thursdays, 1 p.m.